I was asked the other day if I could post some cheap student meals as the repertoire of some of the students I know was rather limited. Students tend to eat a lot of pasta as it is quick and cheap. Although there is nothing wrong with eating pasta, you do need to balance it out with protein and vegetables and its often the vegetables that tend to get missed out with student cooks. So I thought it would be a good idea to post a recipe for vegetable curry. 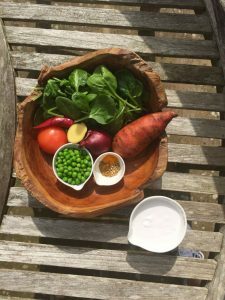 It is quick and cheap to make and most importantly it contains your five a day so it ticks all the boxes! 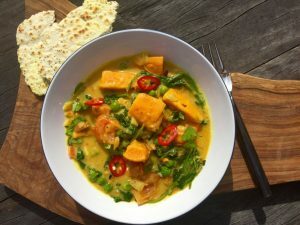 This is one of my daughter’s favourite recipes and if I’m being honest she cooks it better than me! For the masala paste, place the cumin and coriander seeds heat them in a dry frying pan for a minute or two to dry roast them and blend together with the remaining masala paste ingredients in a spice grinder or mortar and pestle. Don’t worry if you do not have a spice grinder or mortar and pestle (not many students do!). Place the seeds on a chopping board and crush them with the base of a rolling pin or mug then add the remaining ingredients for the masala pasta and chop them altogether as finely as possible. Cook the onions without colour in the oil for five to 10 minutes until soft, then add the masala paste and cook for a further two or three minutes. Add the sweet potato and coconut milk, pour in 1/3 cup of water and cook for five minutes. Add all the remaining ingredients and bring to a simmer. Cook over a medium heat for about 10 minutes until the sweet potato is soft, adding a little more water if the mixture becomes too dry. Season with salt and pepper and the coriander (if using). Serve it on its own or with flatbreads. You can substitute the vegetables to use up whatever is lurking in your fridge. Remember the root vegetables take the longest to cook (and cooking times may vary depending on what vegetables you choose). Always add the leafy greens in the last 5-10 minutes. 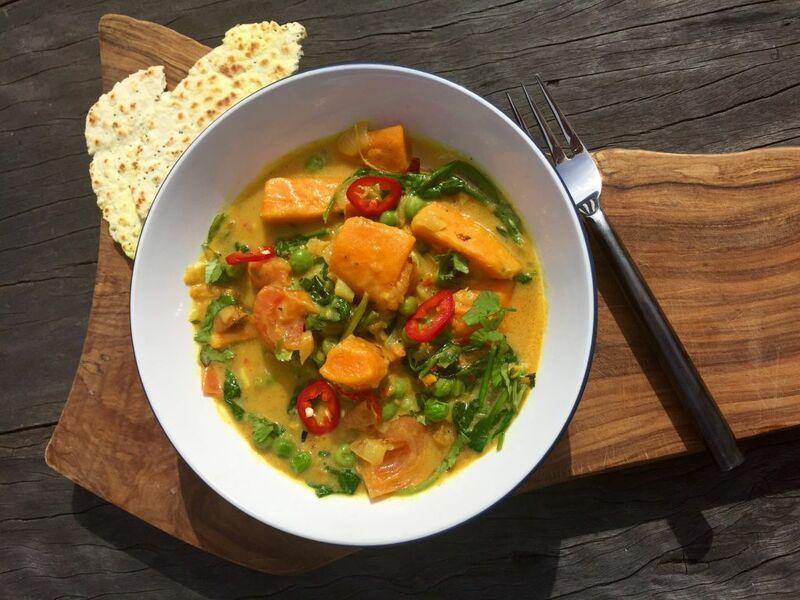 This curry gets better when it is reheated so its good to make double the quantities and will keep for 3-4 days in the fridge. 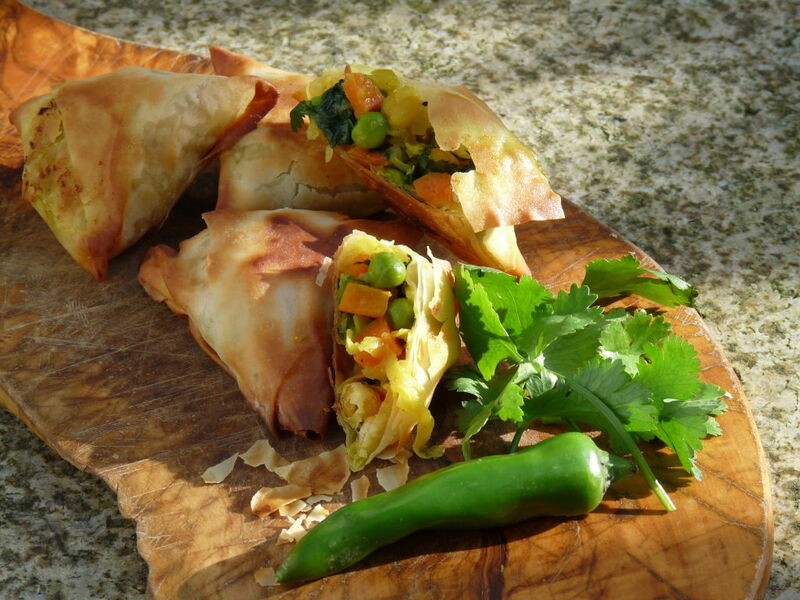 If you have any leftover curry you can use it as a filling to make vegetable samosas which make an excellent snack the next day.